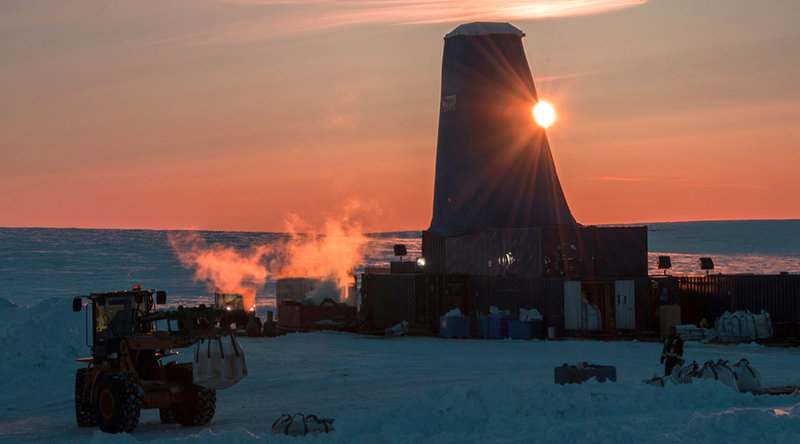 Anglo American’s De Beers has agreed to buy Canada’s Peregrine Diamonds (TSE:PGD), the company behind the Chidliak project in the Canadian territory of Nunavut, as the world’s largest roughs producer by value needs to replace its closing mines in the country. The Cdn$107 million-deal ($81m) extends De Beer’s footprint in Canada’s frozen north beyond the Gahcho Kué joint-venture, which recently achieved full production. The Chidliak resource, discovered in 2008, is located on Baffin Island about 120km from Iqaluit, the capital of Nunavut. The asset hosts at least 74 kimberlites (eight of which are potentially economic) and has an inferred resource of 22-million carats, but needs about Cdn$455m to come online. Peregrine is the sole owner of the Chidliak diamond project, which hosts at least 74 kimberlites, eight of which are potentially economic. Based on studies by Peregrine, Chidliak would take 2.2 years to pay back its capital and have pre-tax cash flow of Cdn$2bn over its 13-year life of mine. As per Wednesday, the Vancouver-based miner had a market capitalization of Cdn$71m. De Beers is paying a premium for Peregrine, offering 24 Canadian cents cash per share. The stock jumped 46.9% on the news, hitting 23.5 Canadian cents in early Thursday trading on record volume of nearly 10 million shares only 30 minutes into the trading session. “With a strong outlook for consumer demand, we are seeking new opportunities to invest in our future supply potential and look forward to growing our portfolio in Canada,” De Beers CEO Bruce Cleaver said in the statement. Peregrine Diamonds’s founder and executive chairman is Eric Friedland, brother of mining legend Robert Friedland, who was involved in the development of assets such the Oyu Tolgoi copper mine in Mongolia and Voisey’s Bay nickel mine in Canada. The siblings hold about 43% of Peregrine between them. The agreement still needs to be approved by De Beers' and Peregrine's shareholders. Canada produces approximately 10% of world’s overall diamond output by volume and about 15% by value. The country has historically provided De Beers leverage when it negotiates sales rights with host governments in southern Africa, especially Botswana, where the diamond giant has its two largest mines.